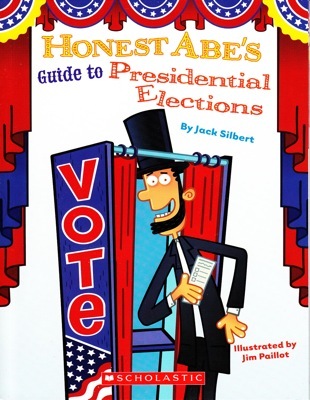 Democrats, Republicans, Libertarians, Green Party members, independents, and everybody else can at least agree on one thing: This is the best book about presidential elections ever published anywhere! A sequel of sorts to this year’s Honest Abe’s Funny Money Book, I once again teamed up with the wonderful illustrator Jim Paillot. The book is available in the November edition of Scholastic’s Lucky book club. And this one is also available in digital form. Better pick up a copy while you can; they’re going to start campaigning for 2016 any minute now….